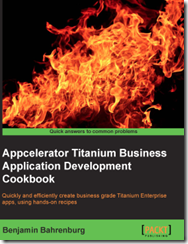 Titanium has a great and very active community. The QA forum is a great place to learn. The other day I came across how to turn off the Titanium Studio dashboard. I find the dashboard useful as far as seeing what is new from Appcelerator, but I know many want to remove it due to startup times. and add -Dtitanium.hideDashboard=true to the last line in the file.